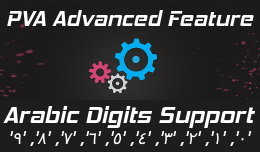 This advanced feature lets you accept SMS code in Arabic digits. Example if SMS code is 1234 and user enters ١٢٣٤ then the code is accepted. 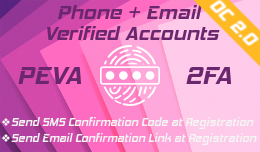 Without this extension, SMS code verification fails if customer enter the correct code in Arabic digits. This advanced feature requires the PVA extension.